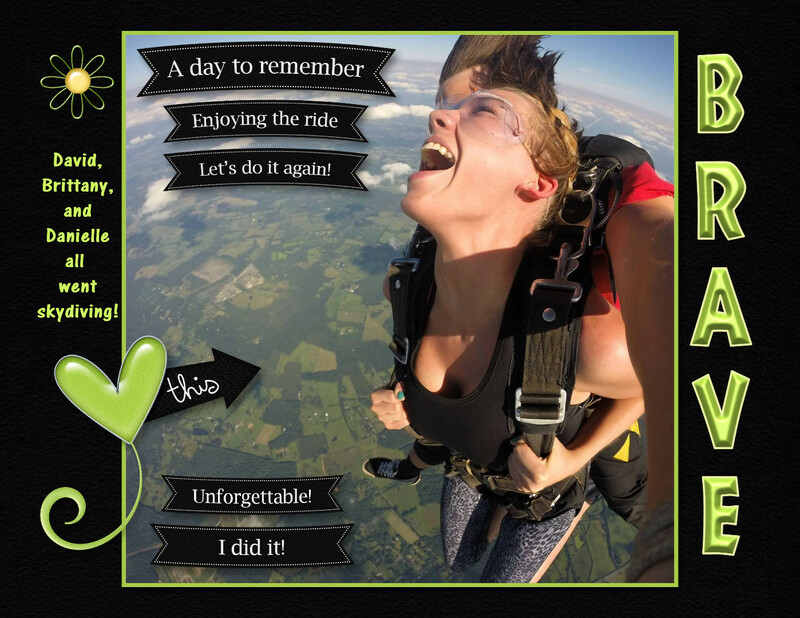 Wow, this month is flying by! This month my challenge to you is to post your favorite layout that has the color green in it. Tell me why it is your favorite layout - is it the photo, the kit, the story behind it or all of those reasons? Ready, set, share! I have two I'd like to share. The older one might blend too much without good color contrast but I've always loved it, just the same. (2013 calendar) I love the picture on the back patio of my sister. Coffee time. She "does flowers" and I love how she is tending them in the small photo. I used Neapolitan Mint by Let Me Scrapbook. The 2nd one is more recent, actually June of my 2017 calendar. It speaks for itself. I love the contrast of this one. 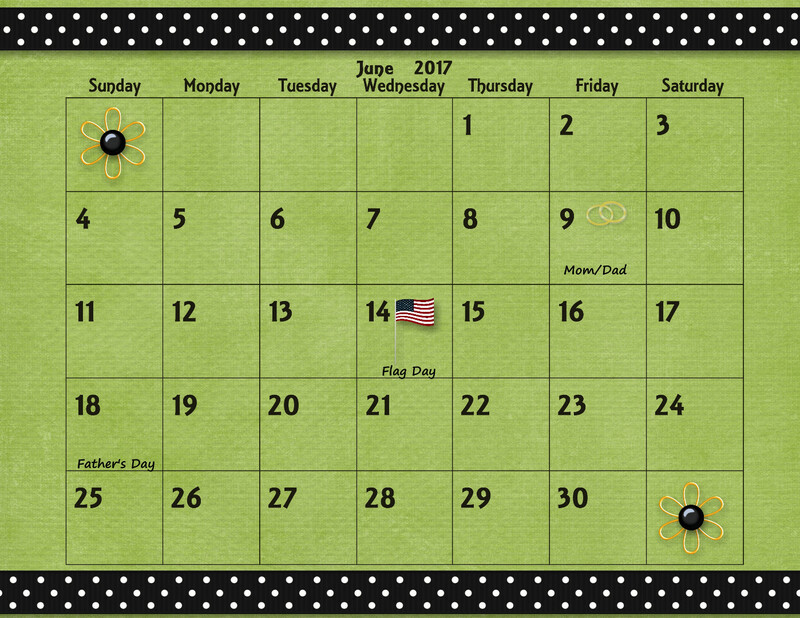 It really needs the bottom calendar portion with a bright green background to set it off so I included it. (This is how I like to do calendars.) I used Magical Mouse Memories by Albums to Remember. The word strips are perfect. It was a perfect day and my nephew's wife paid for the pics going down (you should have seen her face before she jumped). This pic was the best of the batch. Perfectly catches the moment. First jump, of course.